Home » Crafting » Jars » 18 Fall Mason Jar Crafts to Inspire You! Have you gotten into the mason jar craze like everyone else? I am a huge lover of mason jars, you can make overnight oats, meal prep salads, and even use them in crafts. 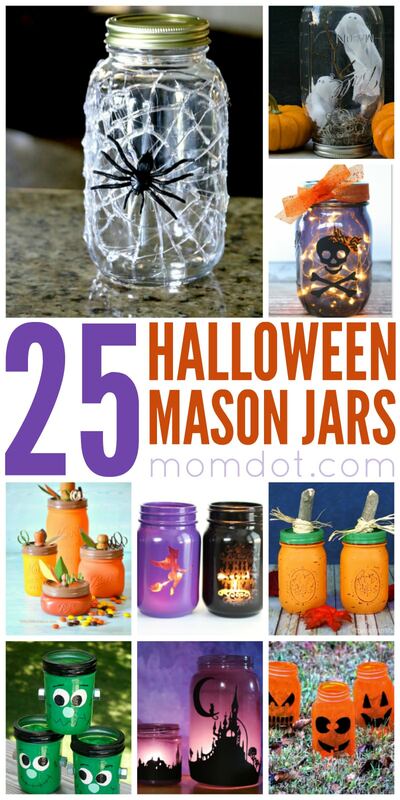 Below you will find a ton of Halloween Mason Jar Crafts for you to create. Decorate your home with mason jars in a whole new way this Halloween season! What is so great about mason jars is you can create luminaries with them, or stuff candy, flowers, or put a lid on and use for a display! I love the versatility of mason jar crafts, and these Fall ones are spooktacular for sure! Sit down and plan out all your Mason Jar fall decor this year with over 18 inspiring mason jar craft ideas below. Get inspired by these amazing fall friendly mason jar crafts below. Halloween Mason Jar Luminaries – Princess Pinky Girl| Create these silhouette mason jar luminaries that are pretty easy and fun to create. I love the look of them lit up at night! Halloween Napkin Luminaries– Craft Bits| Use Halloween printed napkins to create these unique luminaries to light up at night with tea light candles! Dollar Store Mummy Luminaries – Cincy Shopper| Hit up your Dollar Store for all the supplies you need for these adorable and spooky mummy luminaries! Gauze Mummy Luminaries – Modge Podge Rocks| These are a little different than the other mummy luminaries above! These use gauze to create a really textured looking luminary! Boo Mason Jar Lanterns – Penny Pinchin Mom| Grab three mason jars and create the word Boo out of them! A super fast craft that takes 10 minutes or so to create. Glow in the Dark Halloween Mustache Jar– Tots Family| This is a glow in the dark jar, that has a really fun mustache guy that will glow pretty good when night time hits. Pumpkin Luminaries – Pink When| These pumpkin inspired luminaries are really fun, and I love the bold orange she uses! Spooky City Mason Jars – Yesterday on Tuesday| These have a black city silhouette on them, and when they get lit up at dark it really gives them a spooky and eery feel! 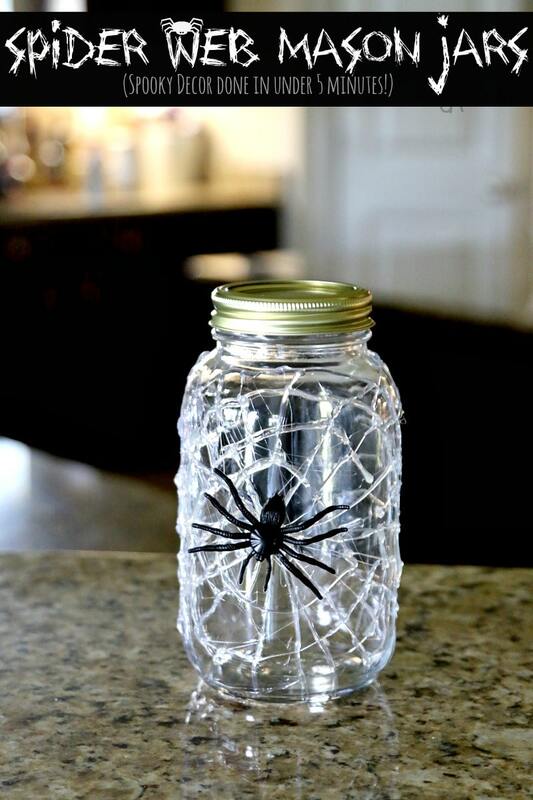 Spider Web Mason Jars – Simple and easy, this mason jar can be made in minutes for your Holiday decor. Mason Jar Fall Luminary – Create Craft Love | I adore this beautiful mason jar in gorgeous fall colors. 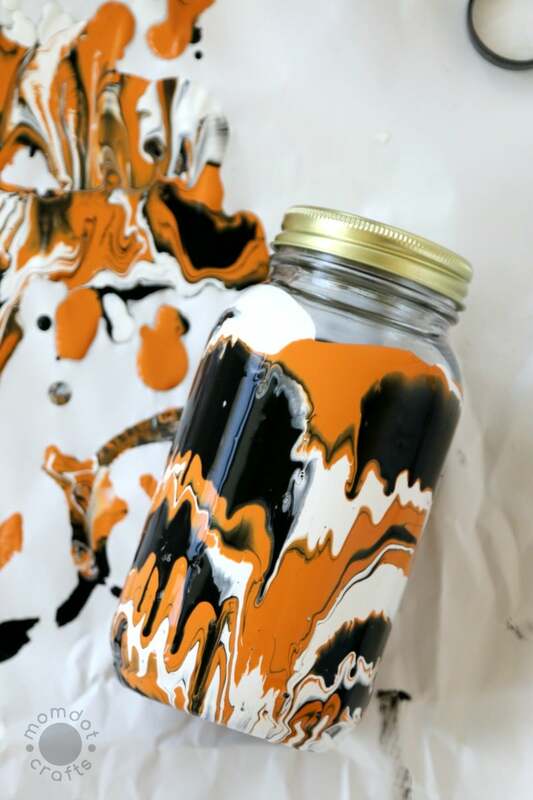 Halloween Drip Mason Jars: My very favorite kind of jar, the drip painted jars. These are so unique and beautiful! Mason Jar Pumpkin Candy Jars – Craft Bits| This is so creative, make one of a kind candy jars, using mason jars, candlestick holder and more. Very creative. Washi Tape Halloween Mason Jars – About a Mom| Make mummies, monsters, pumpkins or whatever Halloween Inspired guy you want with this washi tape craft! Pumpkin Jar – The Relaxed Homeschool| This is a very cute idea, you could add in some sweet treats and give to a friend, or put on display on your table or around your home. Sugar Skull Craft– Ann’s Entitled Life| Love the look of sugar skulls? Grab a mason jar and create your own, with this fun tutorial! Easy Halloween Jar Theme– This reminds me of a snow globe but you don’t use the water or glitter. Create a theme you want for Halloween to display in your jar! Mummy Mason Jar – Views from a Step Stool| This tutorial uses gauze as well to wrap around the outside of your mason jar, it creates a really fun textured look! Glittery Pumpkin Mason Jars – The Best Idea for Kids| Love a little sparkle? Try these fun glitter inspired mason jars, fill with candy, add some flowers or anything else you want! Spooky Mason Jars – Clever Pink Pirate| Create a ghost, Frankenstein, mummy or even a jack-o-lantern in this easy to follow tutorial! Candy Corn Jars– Mason Jar Crafts| You either love or hate candy corn, but I think we all can agree to love these adorable candy corn jars! Gold Painted Mason Jars – Cant go wrong with simple fall painted mason jars! Looking for great mason jar tutorials right here? Try one of ours! See all of MomDots Mason Jar Crafts here! Looking for more holiday inspiration? 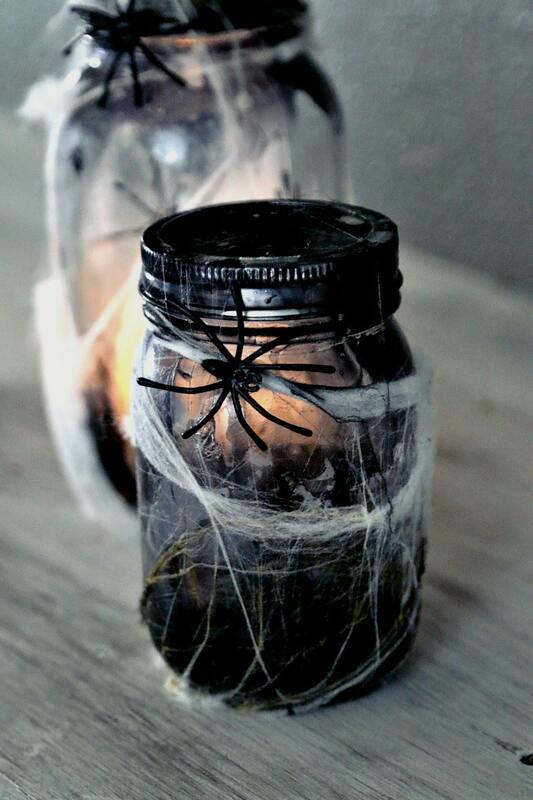 Head to 25 Halloween Mason Jar Ideas here.